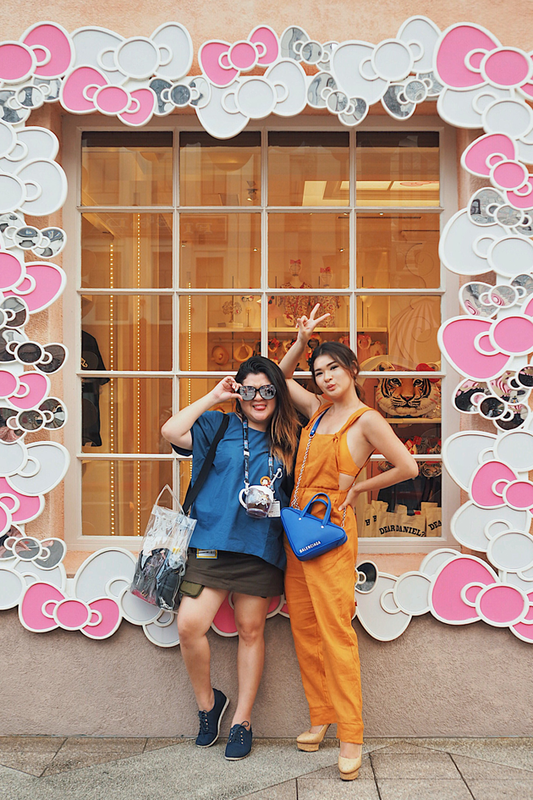 Yes, am finally writing about my latest trip to Osaka where I got the chance to experience Universal Studios Japan in Osaka. 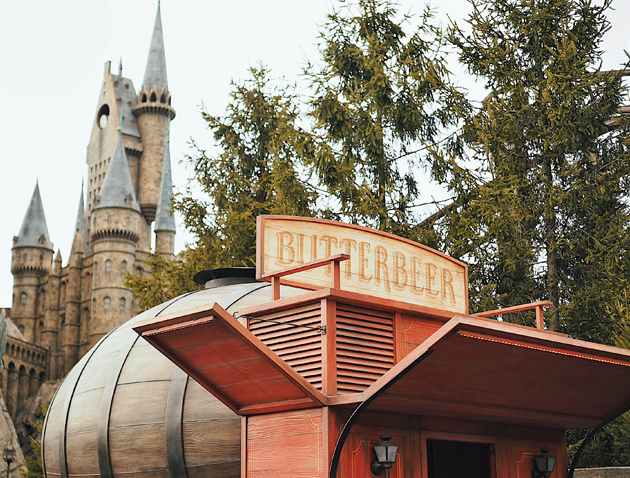 Just for the record, it was my very first time to visit USJ and I had a really, really good time. Who am I kidding, I was extremely happy and it's beyond WORDS! Believe it or not, the feeling is still here as I’m writing this. 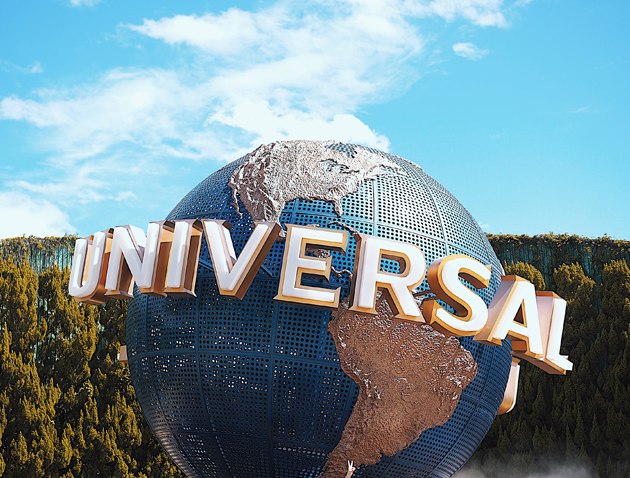 I remember that my sister and I arrived in Osaka (via transit in Tokyo) on Sunday afternoon and we were scheduled to visit the Universal Studios Japan on Monday, lunch time. It was exactly 12PM that we arrived by the main gate and escorted inside to have a two hours of free time as per our request to eat and explore the theme park by ourselves. By 2PM, we were fetched by USJ team so we can finally enjoy the rides and of course to take pictures at some of their iconic spots. 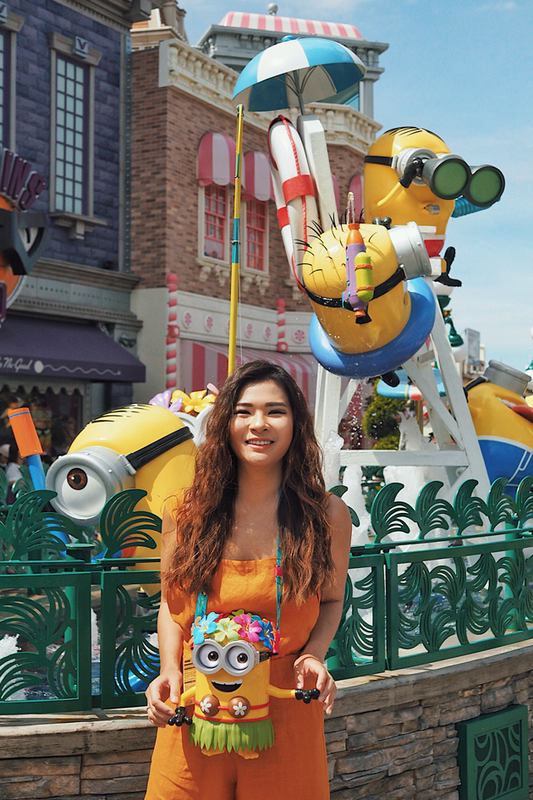 First stop was the Minion Park! Even before we entered, we could already hear the theme song “Happy” welcoming us and that was it, the mood was automatically set to happy mode. 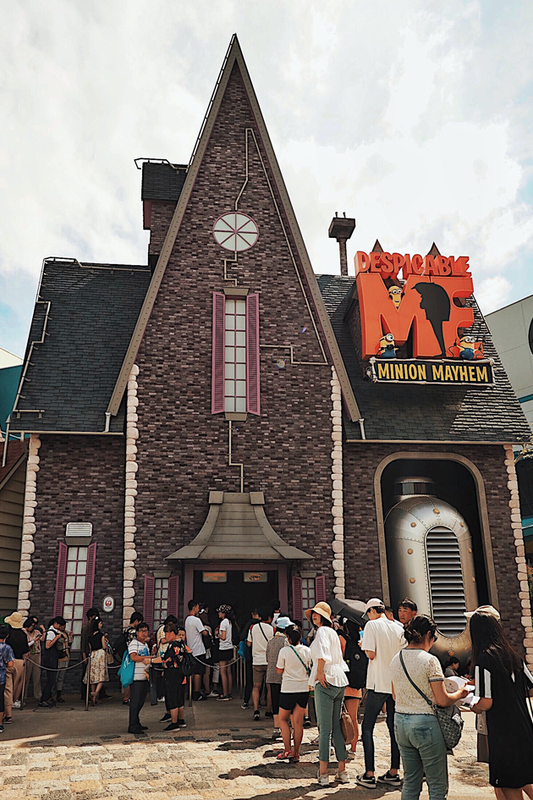 Anyway, our first ride was the 4D computer animated simulator ride, Despicable Me Minion Mayhem which is built inside Gru’s House. 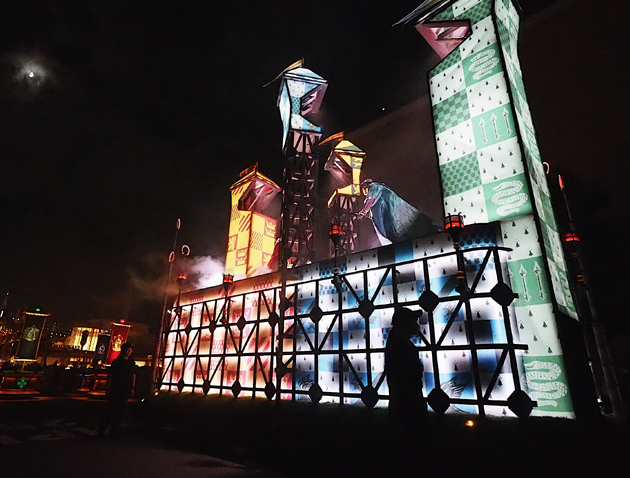 It was really interesting and what I love about it, is that we don’t need to wear 4D glasses to enjoy the ride and it felt like we were wearing one. 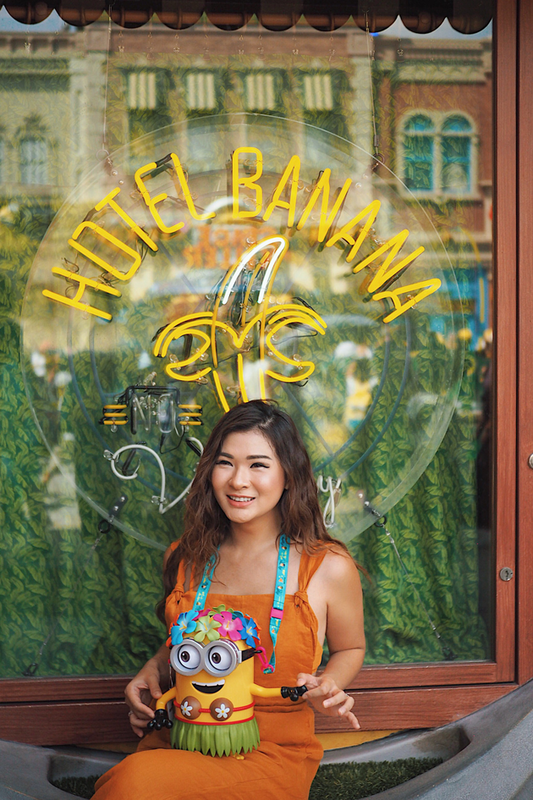 Not forgetting the souvenir shop so I could get some souvenirs for myself, such as the iconic hula dancer minion popcorn, toys and more little stuff to bring back home. 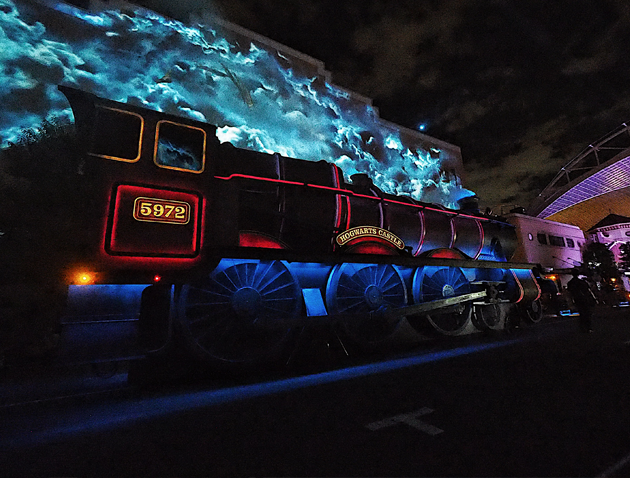 Up next was no doubt, my favorite, The Wizarding World of Harry Potter! 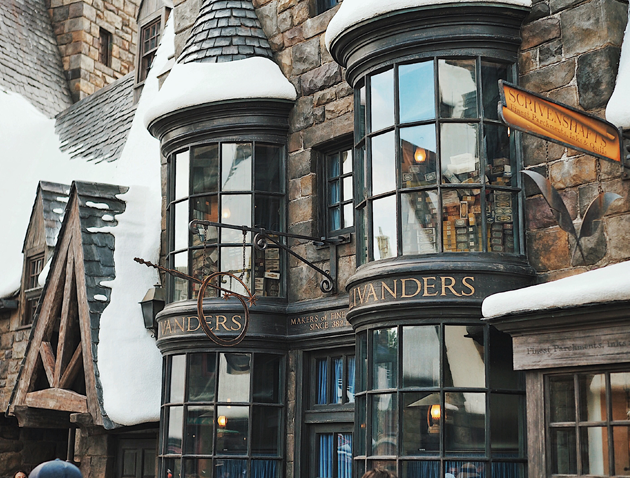 Starting from The Weasley's broken flying car to Hogsmeade and finally to Hogwarts. 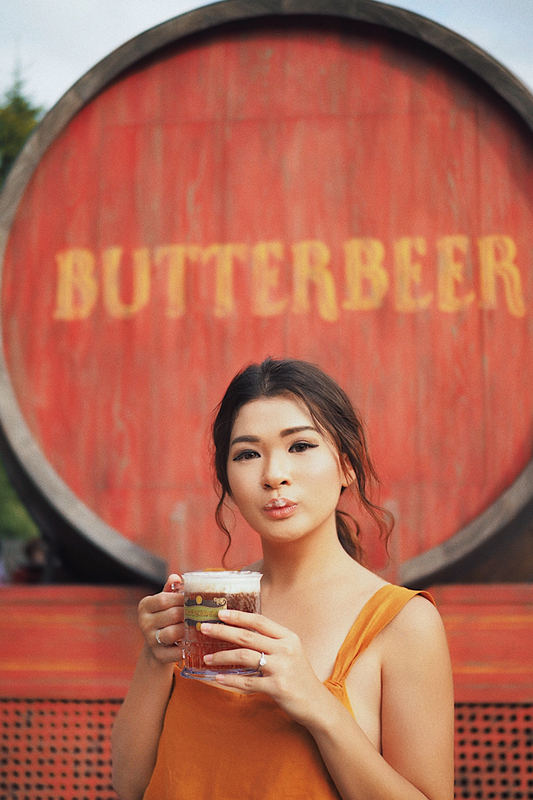 Just like in the Minion Park, here at Harry Potter's, we were also welcomed by their theme song which brought me so much feelings. 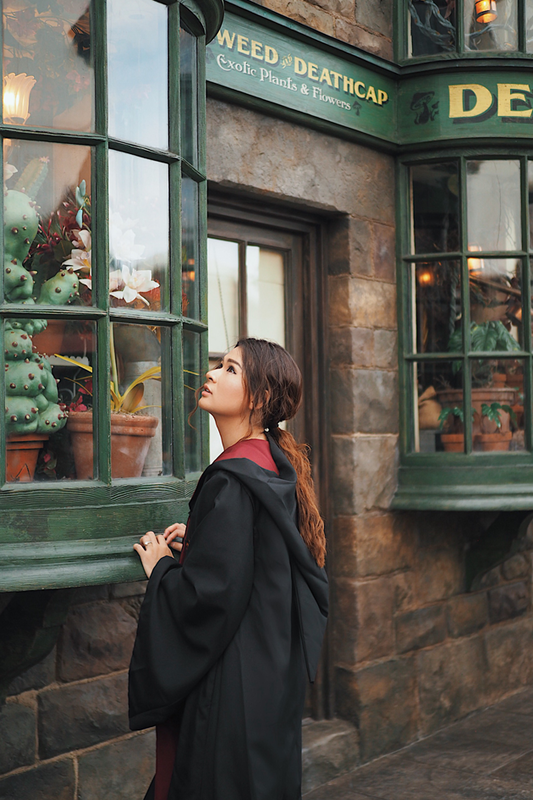 As a fan of the movie, I couldn't help but to miss their epic series while exploring Harry Potter's Area. 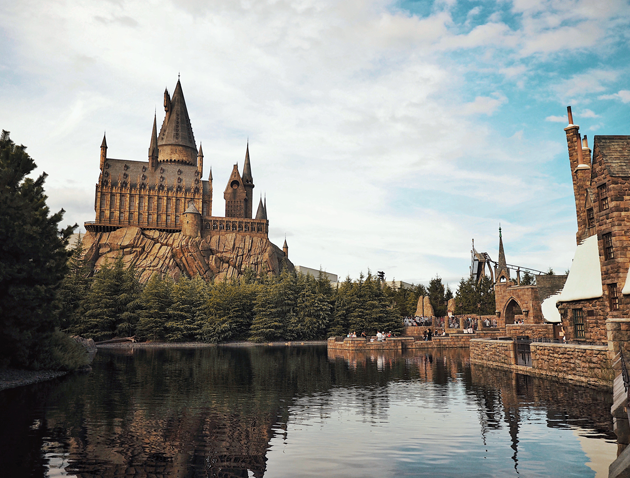 Universal Studios Japan's current favorite Harry Potter and The Forbidden Journey ride is hiding inside Hogwarts Castle. 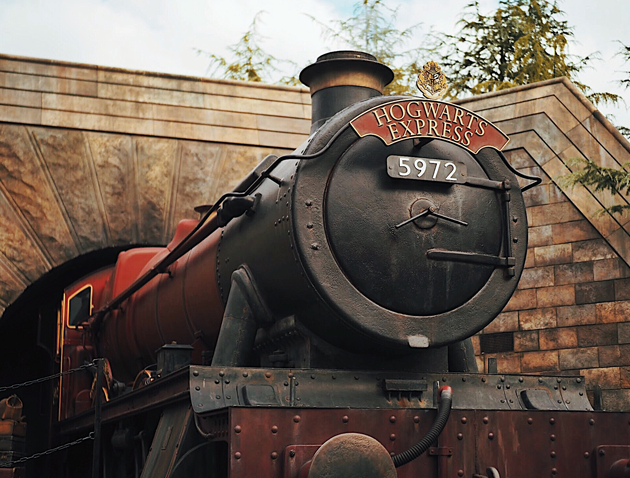 It's a motion-based dark ride, aiming to bring Harry Potter to live on a phenomenal scale and guess what? 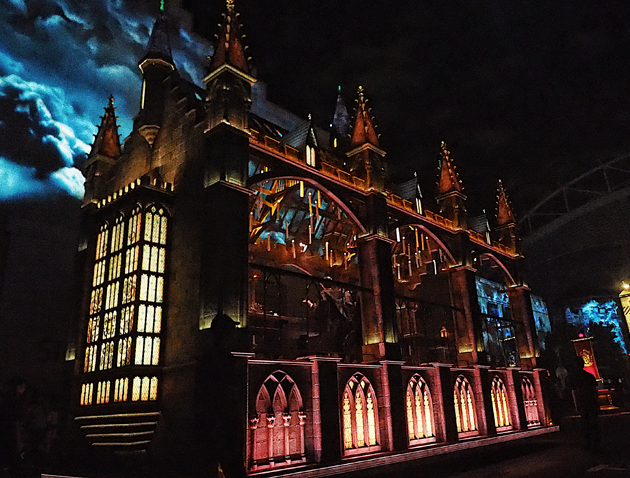 The ride was surreal and I can see why it is everybody's favorite after the Amazing Adventures of Spiderman ride. Even though the queue was crazy long, it was all worth it. Thanks to le sissy for accompanying me and being my photographer of the day, you're the best! 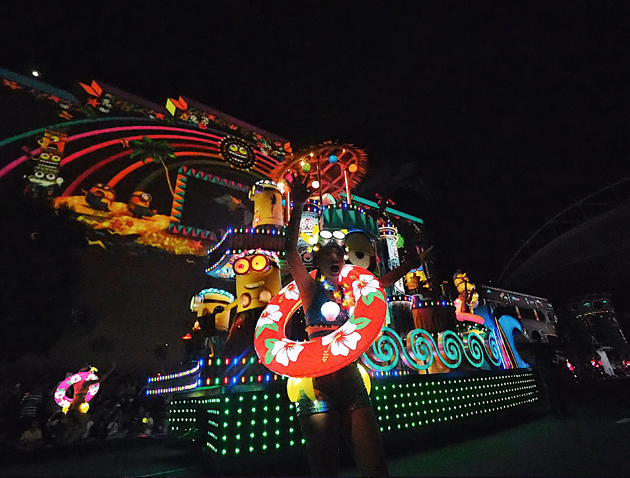 As for the highlight of the day, it was definitely the Night Parade! 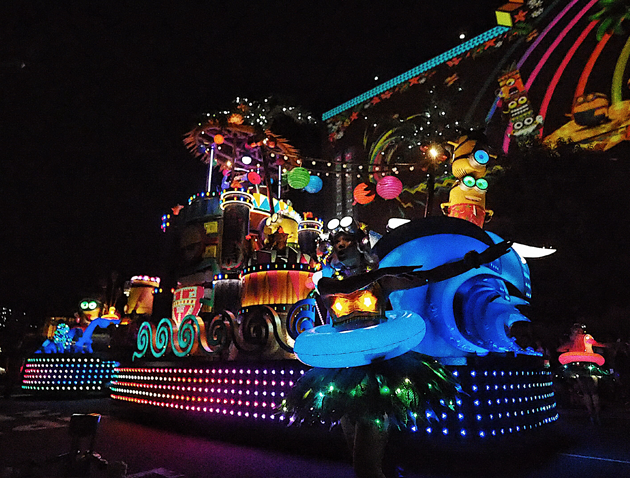 I was so lucky because the weather was extremely accommodating, there was no rain so we all could watch the magical Night Parade unveils before our own eyes. 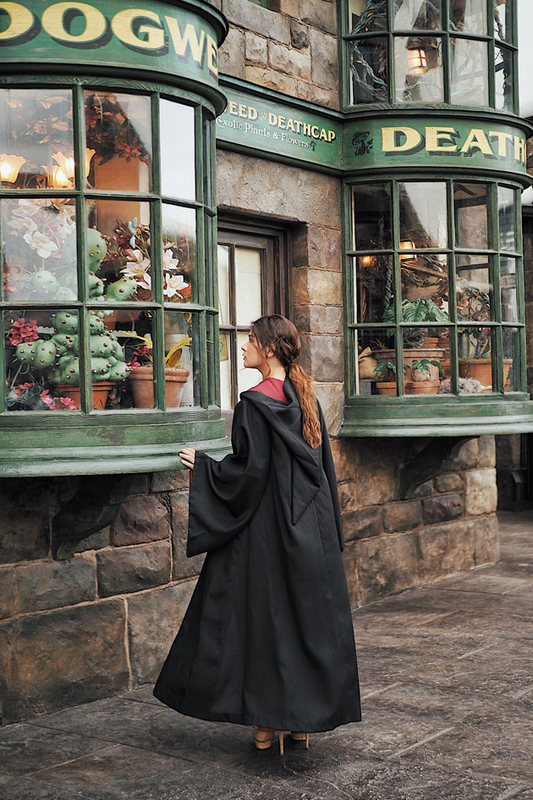 My favorite sequence has got to be the Harry Potter ones! The quality of the Parade was impeccable, the action, the visual, everything was just surreal, I swear. Got goosebumps throughout the Parade and I guess I still can't get over it. Huge thank you to Universal Studios Japan for having us and for the awesome hospitality. Can't wait to plan my next trip to USJ again!